I only walked 2 miles today. But I’m getting ahead of myself. After considering my options to get to Flagstaff today, I chose the more disappointing option—I got a ride. It’s one thing to push my kart all day up and down hills and over miles of dirt roads that call themselves “Historic Route 66.” But to start a 20 mile walk that could be mostly dirt roads, screw that. If the people of Arizona and the US think so little about the “heritage” of Route 66 that they can’t even maintain a paved road, then they’ve lost my respect and the honor of having me walk into town. I could have done it; I chose not to. I checked into the Best Western Pony Soldier Inn around noon, then wandered down the block to Burger King for a fish sandwich, fries, and a Dr Pepper. After lunch, I moved my kart into my rooms—they’d upgraded me to a mini-suite (or maybe all the rooms are mini-suites); then I sat in the Jacuzzi for a while and pondered my situation. Back in the room, I started looking at routes out of Flagstaff. I called the Bureau of Parks & Recreation about getting a permit to camp along the road. The woman said they only issued permits for camping inside the National Parks. Later I walked over to the Sportsman’s Warehouse where Bailey, a delightful 20-year-old business student, helped me as I tried on 8 or 10 pairs of shoes. 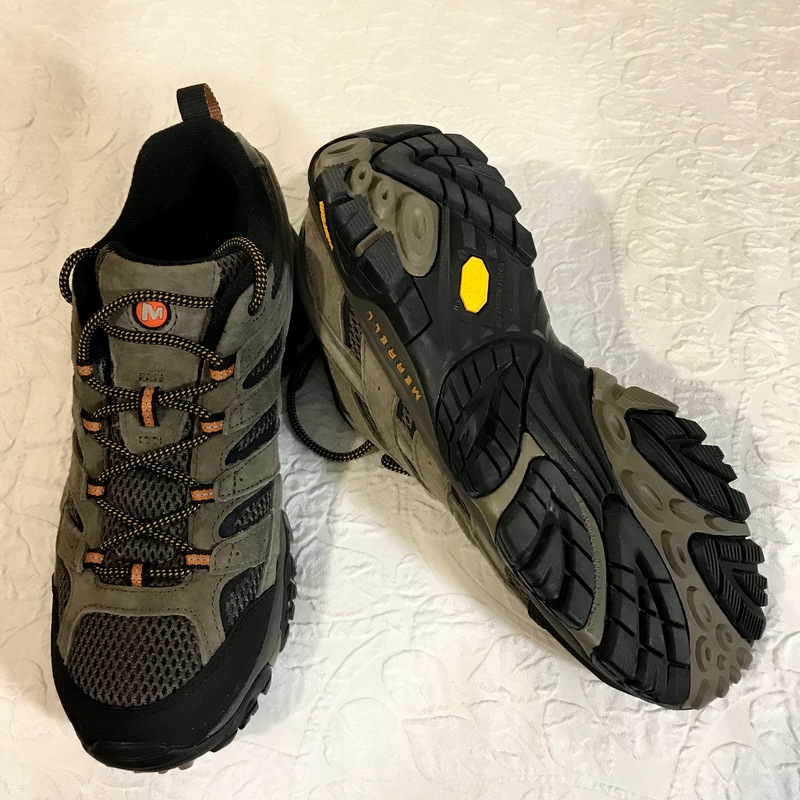 I finally decided on a pair of Merrells. Bailey and Brittany (her manager) asked me many questions about my journey. Bailey and I also talked about fitness, diet, and boyfriends (hers); I happen to be an expert in all of these subjects. Across the street was Fat Olives Wood Fired Pizzeria & Italian Kitchen. I went in to look at the menu and stayed for the fire roasted vegetable special. Wow! I even ate the Brussel sprouts. The pizza was also great. I ate half—the rest is for dinner tomorrow night (each room at the Best Western has an electronic wood-fired oven to reheat such dishes; not). Spencer (the greeter) and Kim (my waitperson) were both terrific. Round trip to the store and restaurant and back: 2 miles. All in all, a productive day. Just not a walking day.